The D20 Army Knife is designed with both the Pathfinder rule system and Herolab in mind. 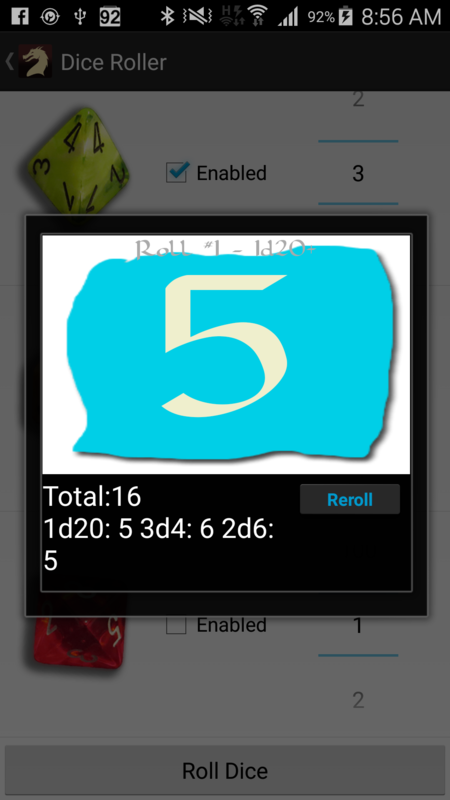 Creating a quick way to read the entire party stats and roll for monsters attacks, weapons, damage and quick look up of any rule. This gives a fast, easy to use interface that can continually reload information from HeroLab. An interface built to give the shortcuts needed to make a game seamless as you play. 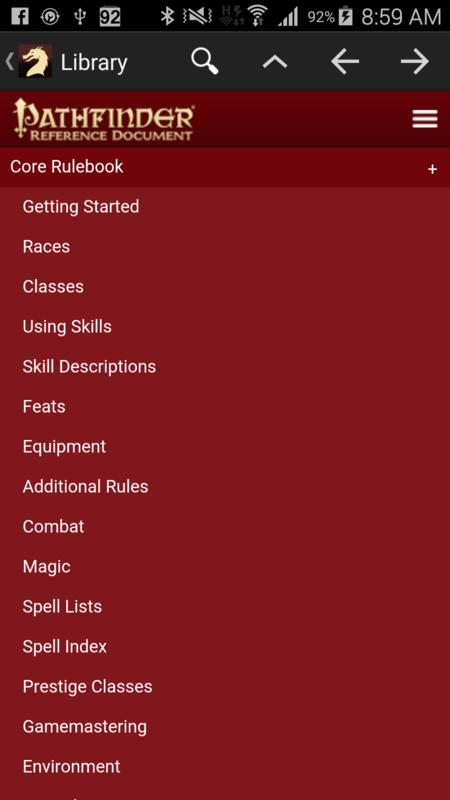 The app can quietly reload files as you play if you are using Google Drive to sync making it a breeze to see all of the players stats along with any changes to monsters and party makeup as you go. 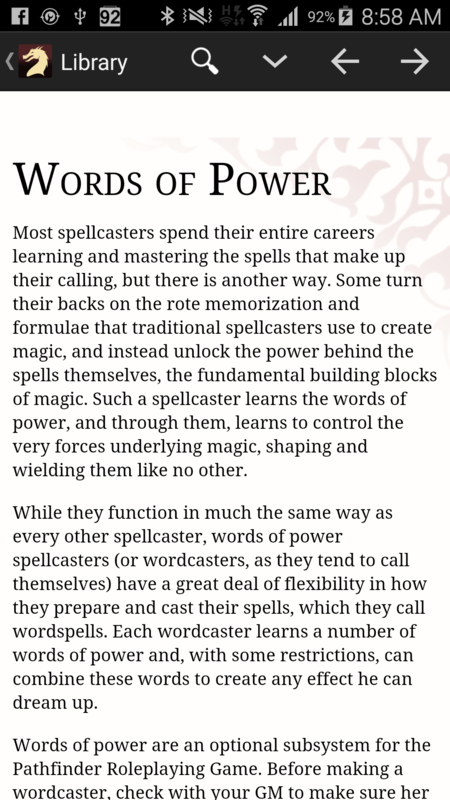 Every DM (Dungeon Master or GM / Game Master) knows that some prep will go a long way to help reduce the rules overhead of any pen and paper game. 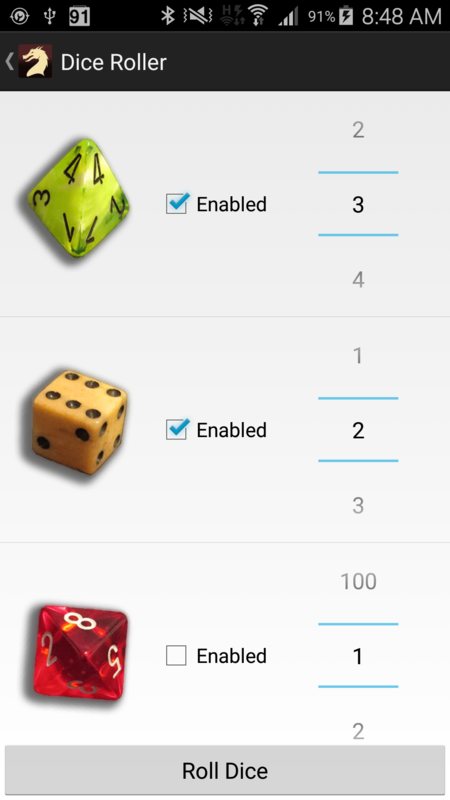 This lets you focus on what is important, setting the scene for your players to tell their stories. It is this prep time that can reduce your freetime to nothing. Between creating the back story for a world of characters, creating a rich universe, setting up monsters and encounters, Drawing maps, setting up full table top dungeons the life of a DM can be a harsh one. The army knife is meant to help reduce the time doing the administrative portions of the game as much as possible. The first step is to create some .por files. 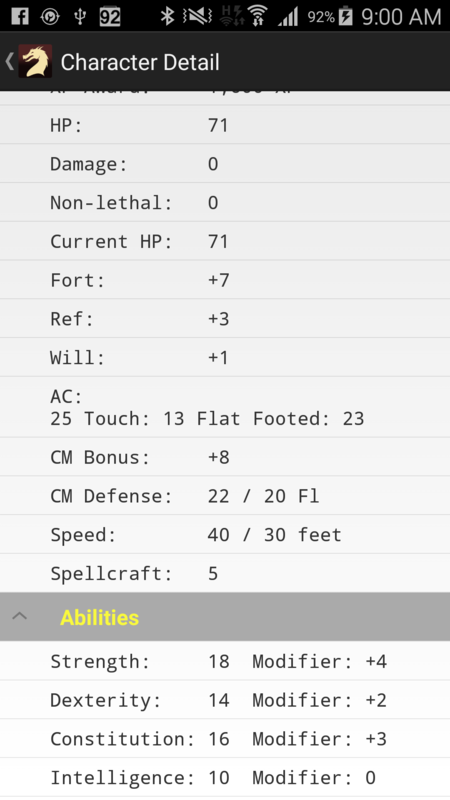 It is best to create a file for your party so you can always reference that file if you need to look up a player detail for secret rolls or if you need some player background information. Using HeroLab, open a single portfolio and click "Portfolio | Import Hero From Portfolio..."
For simplicity you can use Google Drive on PC / Mac with a shared folder. This will let you save the profile directly to Google Drive. This has the added benefit that every time you make a change and save the file it will be uploaded automatically. 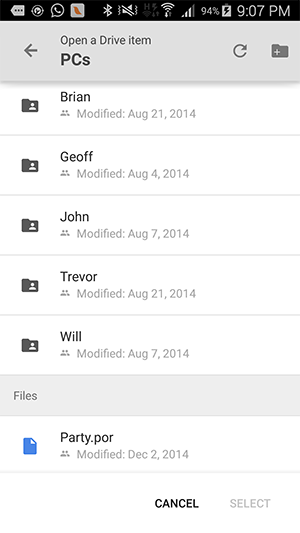 Alternately, you can just upload the files directly to Google Drive using the web interface. This should be done BEFORE your gaming session just in case you do not have Internet access for your session. The app will cache the files so you will have them offline. 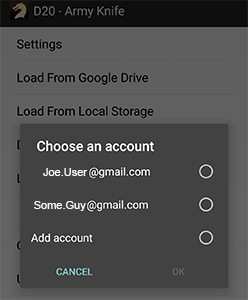 Sign on to Google Drive with that account and install the client of your choice. Upload the profile files that you created in HeroLab, for our example we are using Party.por which contains several characters along with some monsters. 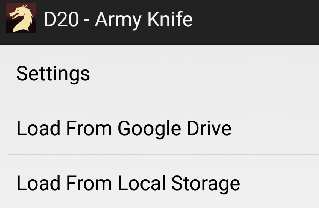 Start up D20 Army Knife and click on the "Load From Google Drive"
This will open a dialog asking you to select either one of the existing Google accounts on your android device or to add a new account. Be sure to select the account that you used to upload the porfolio file. Select the file you uploaded and it will begin downloading to your device. After the download is complete you will have a local copy. If a file of the same name is already on the local device it will be overwritten in the default por application folder. This is handy if you want to manually refresh the file after changes have been made on your computer. After the file has been opened you will see your characters listed at the end. Select one to see their data. Loading files depends greatly on your own setup. After selecting "Load From Local Storage" you will be prompted for a location on disk. The initial location is the default cache directory for the application. This is helpful if you want to load data previously saved from Google Drive. You can browse to the folder you stored the files on and open the file. At it's heart the Army Knife is meant to be a productivity tool. A tool designed to keep your head where it should be, focused on the creative side of the game, focused on your players. If there is an area of improvement that you wish to share it is always welcome. Please write to barryruffner+d20armyknife@gmail.com with any suggestions. If your ideas make sense they will be integrated. Image of Cadmus and the Dragon is filed under the Creative Commons License - Originally a 1921 illustration by Virginia Frances Sterrett for the children's story book Tanglewood Tales by Nathaniel Hawthorne which is now under public domain.